Did you know that it only costs 90 to 95k Virgin Atlantic miles to fly All Nippon Airways Business Class between the United States and Japan? And only 110 to 120k to fly in ANA First Class? Those are roundtrip mileage prices. Not one way. To give you some perspective, it costs 160k United miles to fly ANA Business roundtrip US to Japan, or 180k United miles roundtrip in ANA First. In other words, DO NOT transfer your Ultimate Rewards to United if you want to go to Japan. I can’t stop thinking about this saccharine sweet spot on Virgin Atlantic’s award chart for flying ANA. If you ever want to know where an airline flies, just google that airline and the words “destinations wiki”. There are wikipedia pages for every airline. I didn’t include Honolulu because flying between Hawaii and Japan has its own award price, which is also fantastically cheap at 70k roundtrip in ANA Business or 90k roundtrip in ANA First. I’ve always wanted to visit Japan for a multitude of reasons. I love Japanese food…or at least the bastardized versions of it I’ve tried outside Japan. I am intrigued by Japanese culture (who isn’t?) and the level of detail and honor involved in what seems like everything. I am a Haruki Murakami fangirl. And then I read about the Kumano Kodo trek and the wheels started turning. I was visiting friends in San Francisco recently and one of their roommates (obviously, it’s San Francisco) works for the publication AFAR. She gave me an old magazine from earlier in the year, in which I stumbled across an article about one woman’s experience hiking Japan’s UNESCO World Heritage Pilgrimage Trail. It’s called the Kumano Kodo. Treks and hiking are my meditative happy place. I’m a huge sucker for both. I’m an even bigger sucker when modern conveniences are available to make them more pleasant. With guest houses and inns along the trail that feed you delicious-looking Japanese food and feature traditional outdoor Japanese baths and/or hot springs to rest your weary body along the journey, this trek, while difficult, seems right up my alley. They pack a lunch for you to carry, but beyond that you don’t need to carry much as you can have clothes and essentials forwarded between guesthouses. Have any of you guys hiked the Kumano Kodo? Often the issue with redeeming miles from foreign loyalty programs is that they collect fuel surcharges. That is the reality when redeeming Virgin Atlantic miles, but they aren’t expensive and the mileage price is so cheap they are worth paying. The fuel surcharges (Carrier-imposed surcharge, YQ) collected on a Business or First Class roundtrip ticket are the same: $260. You’ll pay $357 total out of pocket when including unavoidable taxes/fees. You can see this info for yourself without calling Virgin Atlantic by searching for your flight on ITA Matrix and clicking on the price in the search results. Only roundtrips allowed flying ANA. You can see on the Flying Club’s chart for flying ANA that you can’t book a Virgin Atlantic award just one way. You cannot add a domestic connection on either end. So if you don’t live in one of the cities in the US that ANA flies to, and want to add a segment on partner Delta, you’ll need to pay extra Virgin Atlantic miles than the prices listed in this post for that segment (or just book a separate positing flight with cash or a different type of mile on whatever other American carrier). On the other end, if you want to add a connection in Japan, the same separate pricing applies to add another segment on ANA. Award space can be a fickle beast, and there’s nothing worse then transferring points just to find you’ve lost your desired award space while the points where in limbo. Thankfully, points transfer from Ultimate Rewards, Membership Rewards, and ThankYou Points to Virgin Atlantic Flying Club instantaneously (at least anecdotally). Marriott Rewards transfer in less than 48 hours, but you can put ANA award space on hold with Virgin Atlantic for 48 hours. Not a bad idea if you have little flexibility in your travel dates, no matter what points you’re transferring. With just the 80,000 point bonus from the Chase Ink Business Preferred Card, and the points earned from the $5,000 (in three months) spend it takes to unlock that bonus, you’d be only 5k points shy of a roundtrip in ANA Business to Tokyo from LA, San Francisco, San Jose, or Seattle. Not eligible for a business card? 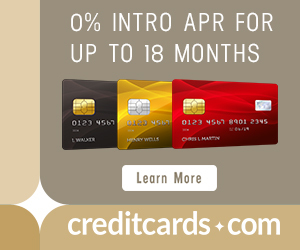 The Citi Premier comes with 50,000 ThankYou Points for spending $4,000 within three months of account opening. With the bonus from the Citi Premier + the bonus from either the Chase Sapphire Preferred Card or Chase Sapphire Reserve (depending on your credit score) you’ll have enough to fly ANA Business roundtrip to Japan from anywhere in the US, and close to having enough to fly ANA First. ..then you can transfer your points to ANA to redeem on ANA Business Class and spend a little less point than you would transferring to Virgin Atlantic to redeem on ANA Business. Fuel surcharges should be the same. The circled prices are for Business Class awards. But as you can see, ANA’s award prices for flying ANA First are higher than Virgin Atlantic’s. Note also that the transfer time between Membership Rewards and ANA isn’t typically instant but around 48 hours. It is typically an instant transfer between Membership Rewards and Virgin Atlantic. Search for award space on united.com for the most ease. Look for Saver Level space, which is the only kind bookable with partner miles. The prices displayed here do not reflect how many Virgin Atlantic miles you’d pay to fly these flights. They are how many United miles you’d pay to fly them. You can of course look at ANA’s website for award space, but you won’t be able to book from there since you’ll be using Virgin Atlantic miles and not ANA miles. Call Virgin Atlantic Flying Club at 800-365-9500. A 30% bonus means you could fly ANA Business Class roundtrip to Japan for as little as 70k Membership Rewards roundtrip! 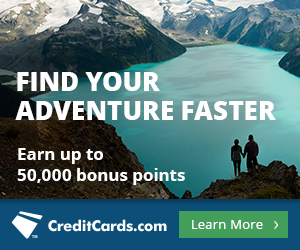 Or ANA First roundtrip for as little as 85k Membership Rewards! That’s the kind of redemption dreams are made of. I hope to use my recently amassed (and still amassing) stash of Ultimate Rewards for this incredible sweetspot award on Virgin Atlantic’s chart flying ANA. It’s one of the cheapest ways to get to Asia in a luxurious flat bed that I’m aware of. I’ll probably fly in and out of San Francisco in ANA First Class for 110,000 Flying Club miles, roundtrip, and use that as an excuse to visit friends in the Bay Area. I can’t wait to get to Japan and hope that hiking the Kumano Kodo can be a part of that trip. Have any of you ever redeemed Virgin Atlantic miles on an ANA premium cabin to Japan? I’m really salivating over this one. I looked over the weekend the low cost like 6k rt Southwest points to get MDW>LAX .Then u get this flt. or a cash flt. SW opens up more ways to Travel West for Cheap with out using more international points . Always check the cost then move the points . Yes that’s a great idea for a positioning flight. I have never done a positioning Flt I have to many points . But going West not east with the time diff it will easily work to many different airports on the West coast. . Then 6k+ SW points @ 6am and late night return is unreal and SW points are easy to get . Thanks for your detailed feedback Hoko, I appreciate it. Sarah not sure what the advantage is to using Virgin if AmEx will give bonus to transfer directly to ANA. What did I miss? I don’t think there’s ever been (at least not in recent history) a transfer bonus offered between Membership Rewards and ANA. Flying ANA First is significantly cheaper using Virgin Altantic miles than ANA’s own prices (to fly ANA first in low or regular season it costs 150k roundtrip, and in high 165k roundtrip). But you make a good point in that ANA’s own award prices flying Business not in high season, which are 75k roundtrip in low and 85k roundtrip in regular season, are better than Virgin Atlantic’s. I’ll add a note about that in the post. Great post Sarah. Very detailed and informative. I’ve never read your blog before but will look for more of your posts in the future due to this great post. Thanks Mike! Glad to hear that. Thank you! This is the top of my list for the Olympics. Are you aware of how ANA releases award space? Any tricks? For instance, JL is 14 days out on the dot. I was able to get 4 of 8 seats in First (SFO-HND) just last month by booking exactly two weeks out. ANA releases award space 355 days out, and apparently it’s bookable as soon as 96 hrs prior to departure. As far as a pattern, that’s harder to discern. Apparently they do often release last-minute award space…again, not sure as to what that window is, but before 96 hrs to departure. I would test the last minute award space availability ahead of time by looking at what four days from now and out looks like, tempering expectations based on the travel season now vs when you actually desire to fly. Check out Will You Find Last Minute Award Space? Here’s How to Estimate Your Chances for more tips. Same question as Jay. I will be looking for flights for 3 toward the end of June. When can I expect flights to open up and any way of predicting them?